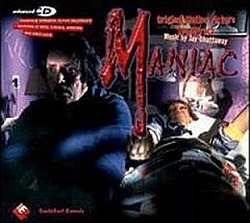 Dust 2 Dust: A quick post for now..
A quick post for now..
Geez, I love the film Maniac, and the soundtrack is wicked as well. Thanks for this great one, it made my day! Cheers for this and all the good you do here! I've seen never this movie but OST is pretty marvellous. Very appreciate your share. Thanks!